Tank is constructed from aluminium; both machined and coated. Brass fittings for longer life & durability. Our FireBug Drip Torches are available in either a 4 litre or 5 litre model - with the 5 litre complete with a retractable wand for easy storage. The lightweight aluminium body means that the end user is not required to lug a heavy unit around even when full. 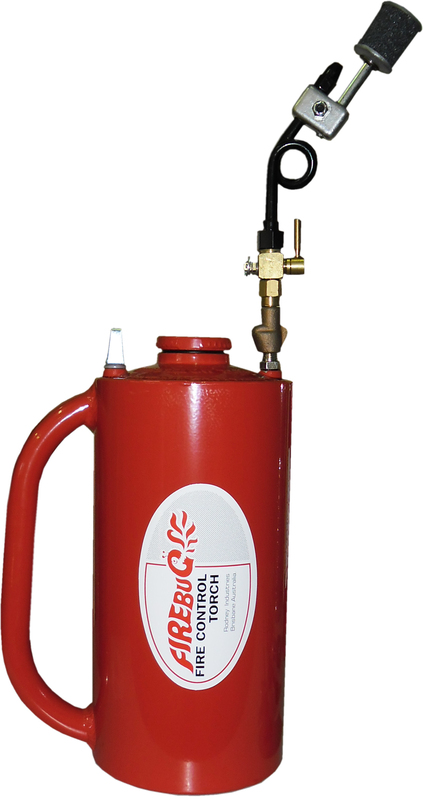 The gravitational feed of the Drip Torch allows the unit to drip fire, making it simple and quick to operate. Successfully completed and passed NATA accredited testing.